Have a look at what we have been up to at the Rumi Forum. The Fairfax Interfaith Friendship Walk was held on Sunday May 21st, 2017 with the mission of bringing faith communities together to appreciate each other and feel part of the same whole despite our differences. On May 3rd, Rumi Forum hosted a interfaith panel discussion with Rabbi Laura Rappaport, Reverend Meg Peery McLaughlin, and Riham Osman at Temple B’nai Shalom. The panelists brought different examples of women throughout history from each of the Abrahamic faiths and how they serve as role models today. Alex Nowrasteh of the CATO Institute joined us Tuesday, April 11th, 2017 for a discussion on refugee and immigration policy. Reverend Kristen Looney, Monica Hopkins-Maxwell, Talib M. Shareef and Rabbi Laura Rappaport joined us at Busboys and Poets on April 6th to engage in a community discussion about civil rights and liberties in today's world. Their discussion revolved around finding and maintaining the delicate balance between our collective security and the protection our liberty. Dr. Leo D. Lefebure of Georgetown University presented his recent work on spirituality and we can further achieve a healthy community of world religions of mutual understanding and respect. On Tuesday, March 7th, 2017. Sharon Kotok, former foreign affairs officer at the U.S. Department of State discussed how women participate in the political decision-making process. The Rumi Forum is proud to announce a new study trip opportunity for Summer 2017. This program will be held in Peru encompassing the cities of Lima and Cusco. Applications for this trip are currently open and all eligible individuals are encouraged to apply. Throughout the duration of Ramadan which begins May 27th and ends on June 24th we will be hosting home and organizational iftar dinners in the D.C., Maryland and Virginia areas. "Seeking That Which Unites Us"
The Burke Connection reported on Rumi Forum's event which presented three religions’ takes on women in faith and society. Written and photographed by Tim Peterson. "The Turkey I No Longer Know"
Fethullah Gulen wrote an recent op-ed article on Turkey that was published in the Washington Post on May 15th. 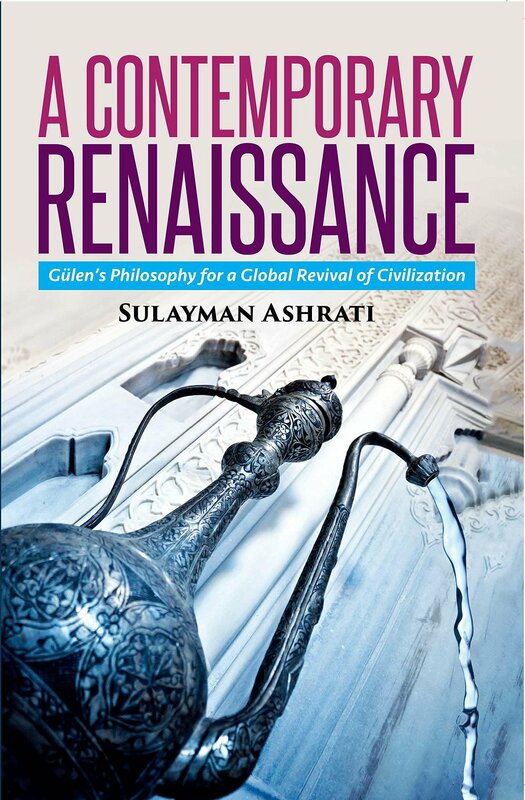 In this book author Sulayman Ashrati examins Gulen, a prominent scholar of Islam and a social activist as well as the inspiration behind the global network of education, charity and interfaith dialogue called Hizmet. This book is an attempt to show how central Gulen's layout for a reconstruction of thought and action is to Islam and to the rest of the world. We are always considering applications for our internship program (dates are flexible and negotiable) Eligibility: All undergraduate and graduate students, J.D. and Ph.D. candidates as well as recent graduates are eligible to apply. Application Process: In order to apply for a Rumi Forum Internship, please fill out this application form. You may send any supporting documents such as CVs, resumes etc to internships@rumiforum.org. Please note that you need to fill out the application form first before sending any documents. Read More . Sent to <> — why did I get this?